In the next few days the tech giant IBM will release new servers based on the eight-core Power7+ chip, which promises much higher performance compared to the current Power7-based generation. Some of the machines, designed for database handling and Java applications will also offer the opportunity to install two processors thus further increasing the performance. The new release is expected to take place on October 3 this week at the upcoming Smarter Computing conference. 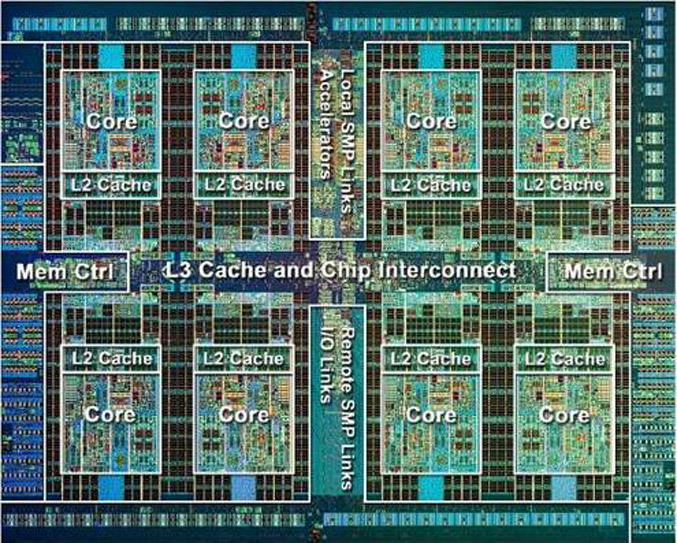 Hardware specs are unknown but the Power7+ chips are expected to operate between 3.75 GHz and 5 GHz, thanks to the finer 32 nm process and IBM’s promise that Power7+ processors will operate at 25 per cent higher clock speed compared to Power7. The current IBM generation works at frequencies ranging from 3 GHz to 4 GHz. Although brand new the upcoming IBM servers will come under fire almost immediately – on October 5 competitor Oracle will unveil new machines based on the brand new Sparc T5 processor.